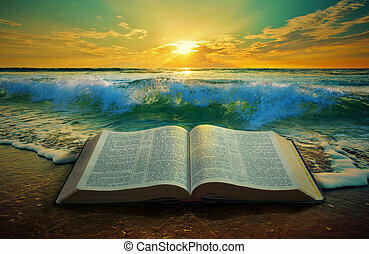 Sunset with open bible. 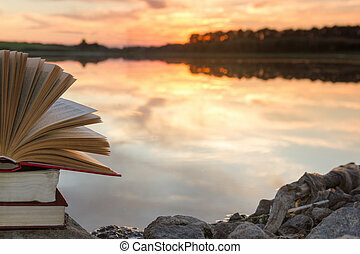 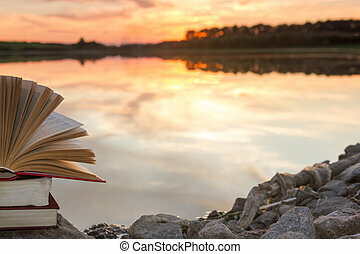 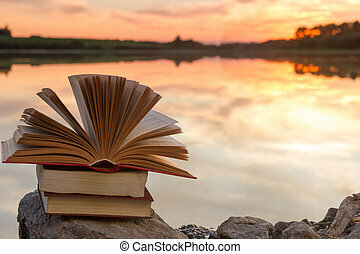 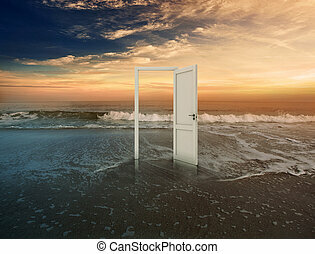 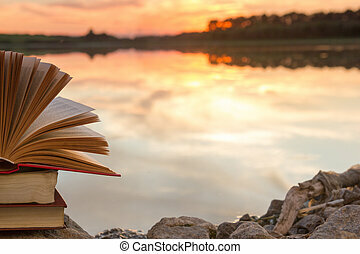 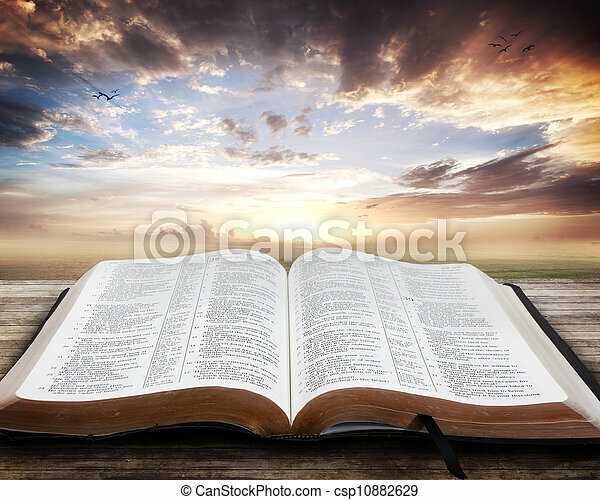 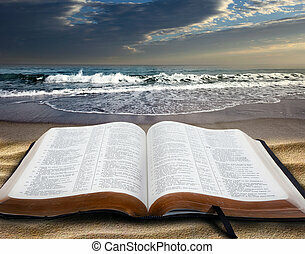 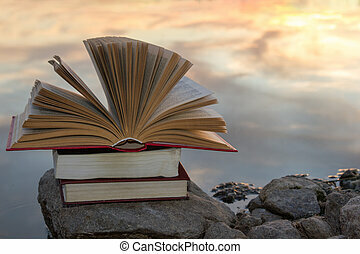 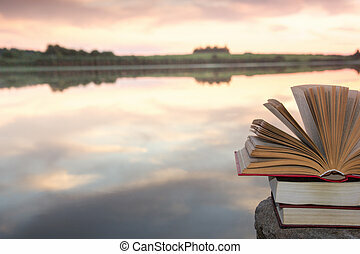 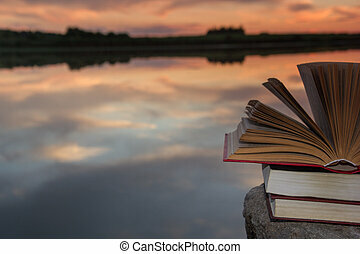 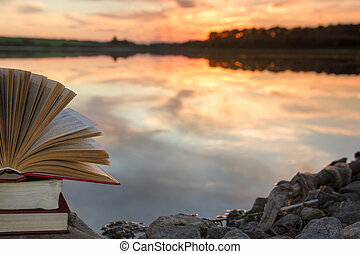 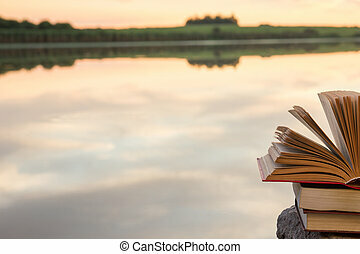 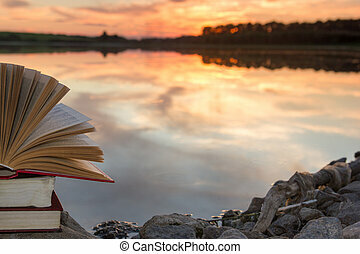 Open bible with beautiful sunset. 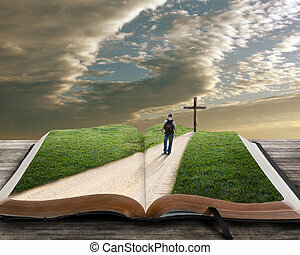 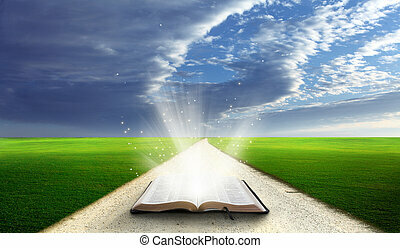 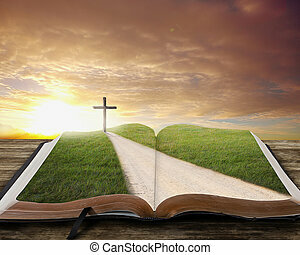 An open Bible with a road and grassy field leading to a cross. 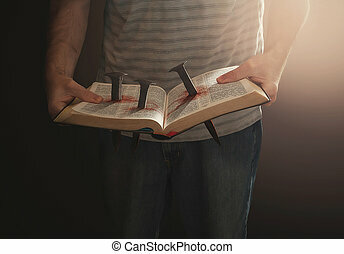 A woman reading an open bible with a cross coming out. 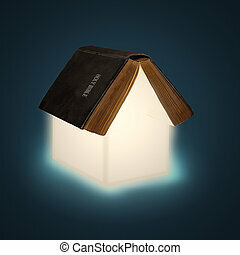 An open Bible with glowing pages creating the shape of a house. 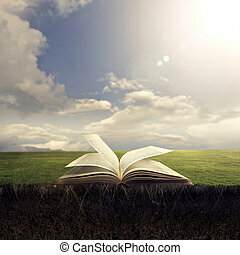 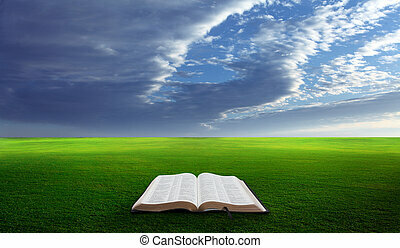 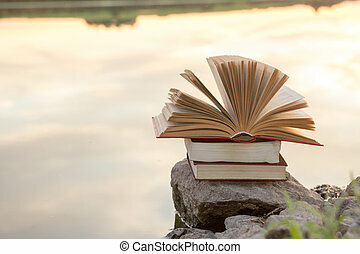 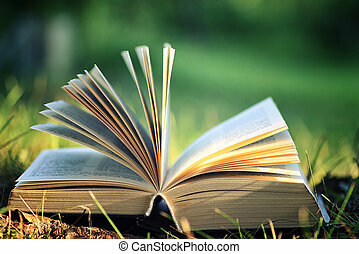 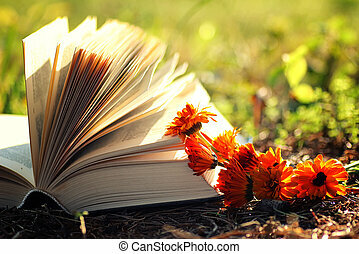 Open bible in a field with green grassy hills. 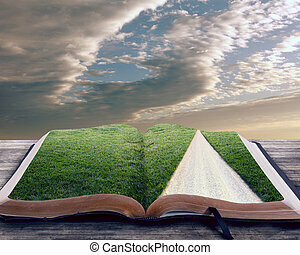 An open Bible going into the ground with dirt and roots. 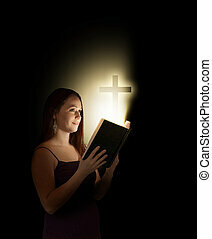 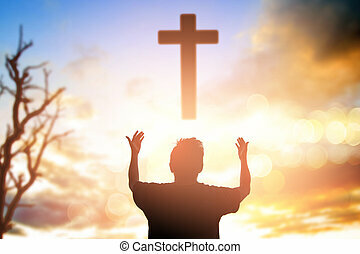 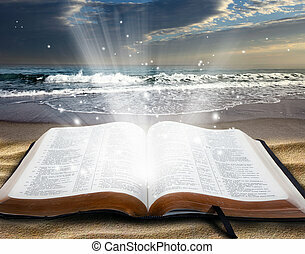 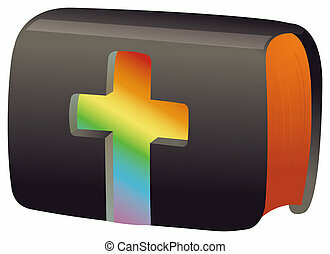 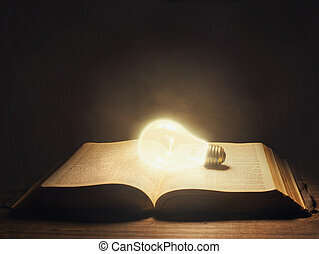 Surreal image of a glowing light bulb in an open Bible. 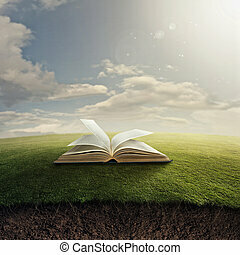 An open Bible in the grass with underground roots.